Selective focus. Beach with large sand and waves that run ashore in the defocus. The concept of travel and vacations at sea. hd00:15Selective focus. Beach with large sand and waves that run ashore in the defocus. The concept of travel and vacations at sea. 4k00:16Selective focus. 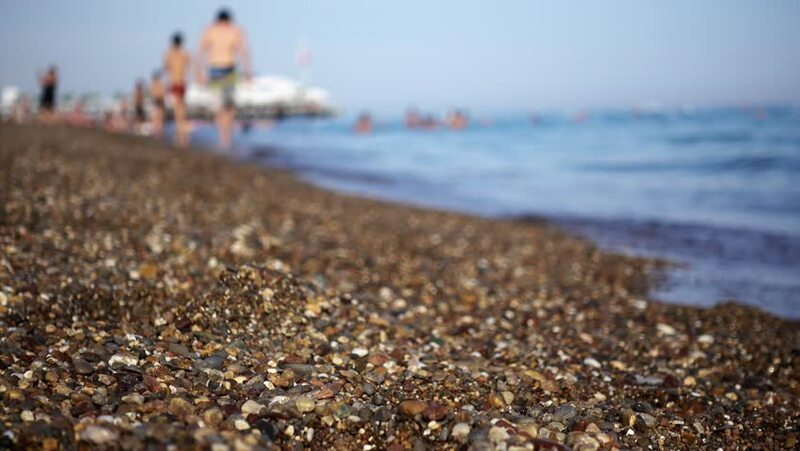 Beach with large sand and waves that run ashore in the defocus. The concept of travel and vacations at sea. 4k00:11Beautiful beach with small seashells. A girl is barefooted walking along the beach in the sea.